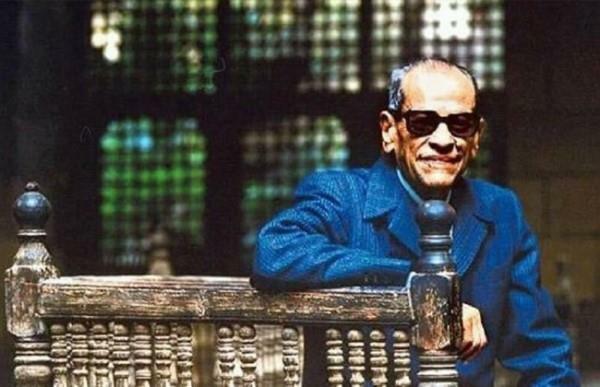 (MENAFN - Daily News Egypt) Eighteen short stories of late Nobel Prize winner novelist Naguib Mahfouz are to be published on his birthday on 11 December. Mahfouz's daughter, Um Kolthoum, announced that the stories are to be published by the Lebanese publishing house Dar Al-Saqi. The stories were originally discovered by culture journalist Mohamed Shoair, while he was searching through Mahfouz's writings, and articles in which Shoair chronicles Mahfouz's most controversial novels 'Awlad Haretna' (Children of Gebelawi). The short stories will be published in a book under the title of 'Hams El-Nogoom' (Whispering of the Stars). Shoair found the stories written by Mahfouz's hand, titled with 'for publishing in 1994'. Some of them were published by state-owned magazine, Nisfeldunia, whilst others never saw the light before. None of the stories were ever published in any book. The publishing house announced that the stories' copy rights are all to be dedicated to Mahfouz through his daughter's approval. As for Um Kilthoum, she told state owned media outlet AL-Ahram, that the offer received by the Lebansese publishing house is considered 'the best and the most appropriate' from all of what she had received. Rania El-Mo'alem, manager of Dar Al-Saqi told media outlets that Um-Kolthoum was the one who decided the name of the published book, which is originally a name of one of the written stories named by Naguib Mahfouz. The Children of Gebelawi was published in 1959. The novel portrays the patriarch Gebelawi who retreats to a mansion he has built in an oasis in the middle of a barren desert, banishing his children. The book is an allegory for the series of prophets that Islam believes includes Jesus and Moses, and culminates in the Prophet Mohammed. First serialised in Egyptian newspapers in 1959, it was banned in Egypt. In 1994, an attacker inspired by a militant clerics ruling that the novel was blasphemous, stabbed Mahfouz. Throughout his 70-year career, Mahfouz published over 150 short stories, 34 novel. Born on December 11, 1911 in Cairo, the son of a merchant, Mahfouz was the youngest son in a family of four sisters and two brothers. He obtained his philosophy degree from Cairo University at the age of 23, at a time when many Egyptians had only a primary education. He worked in the government at a cultural section until his retirement in 1971.